#AceHistoryNews says about two centuries ago Thomas Jefferson said “I consider Trial by Jury as the only anchor yet imagined by man, by which a government can be held to the principles of its constitution”. We live at a time in which we have the potential to learn perhaps more from history than did our ancestors, but it seems that though technology and information have increased, our memories have only grown shorter; we have forgotten the value of those fundamentals that preserve liberty and justice. One such fundamental is that sovereignty resides in the people. This being the case we can say that the people are masters of their own governments and thus superior to them; they are the creator, the government the created. A corollary of this superiority is that people have the rightful power to check their own government, to keep it within the bounds of what is lawful and constitutional. The right to trial by jury stands as one of the most effective checks against the tyranny of government – it is, as Winston Churchill put it, the “supreme protection invented by the British people for ordinary individuals against the state”. The right to trial by jury is enshrined in the Magna Carta and is, according to that constitutional document, an everlasting birthright of the people of this land. A jury is a tribune of the people (or country). Being randomly selected, the jurors are independent of the government and thus bear no vested interest in the same. Further, they are representative of the full range of views, morality and common sense that exist among the people. A recurring principle of Common Law is that the power to make decisions and consequence is retained by the people and never delegated to government. Thus a jury is convened to make decisions regarding the fate of those accused of breaking the law – a decision which is so vital that it is not entrusted to government. Hold the Court (including the judge) to account. The jury stands supreme. It is a check upon governmental abuse of power. It must be able to hold any and all to account or it will not be able to fulfil its role. Have all evidence made available to them. If the Government have the power to set the rules by which evidence may be introduced then it might as well be given the power to frame someone. All the lawfully gathered evidence must be made available to the jury. Deliberate in secret. The jury must be free to meet and discuss their thoughts in secret, in a spirit of safety, knowing that they will not be influenced, punished or harassed, either at that time or in the future, by government or its agents. Attempts by government and its officials to interfere or sit in on jury deliberations are wholly unacceptable to a free and fair trial. Not be punished in any way by the Court. Again, for a free and fair trial, the jury must not fear any form of punishment or penalty for performing their duty. By unanimous consent vote the accused “guilty” or “not guilty” of wrongdoing regardless of whether they think the accused has broken the law or not. Government may not bind the conscience of the jury. If the jury feels a law is unjust, or that a law has been unjustly applied, then they in effect throw the case out of court by voting “not guilty” and thus ensure corrupt laws (and the corrupt application of laws) work no ill upon the people. This is called jury nullification because the law is nullified. If this were otherwise then the jury would serve no purpose in providing a check on government; if it was forced to vote a certain way it would become a mere tool of enforcing the laws of the government of the day. The jury therefore decides if someone is guilty of wrongdoing not of acting illegally. The jury is thus a powerful tribune in preserving liberty, for without its consent the government may punish no person and all its unjust laws and oppressive application of laws are of no effect. Trial by jury is the final legal check on tyranny and thus a hallmark of and safeguard for a truly free people. It is thus vital we defend that right for ourselves and our children. 1. Sovereignty has reference to that which is superior or supreme, it is nothing more or less than the power of self-determination. All sovereignty resides in the individual because it is individuals who possess free will. National sovereignty, for example, is only a representation of the individual sovereignty of each citizen of that society. For a greater explanation of this see the text and references in the article Freedom in Jeopardy: The Case Against the EU and Supranationalism by the same author; available on-line at http://www.freedom-central.net/euandbritain.html. 2. “The right to bear arms, the right of juries to nullify the law, and the right of revolution all have the same root: the inalienable right of the people to control the government when they believe it has become destructive of their liberties.” (The Rise and Fall of Jury Nullification by James Ostrowski, see “Recommended Reading” below). 3. “…the great principle of Habeas Corpus and Trial by Jury…are the supreme protection invented by the British people for ordinary individuals against the state. The power of the executive to cast a man into prison without formulating any charge known to the law, and particularly to deny him judgment by his peers for an indefinite period, is in the highest degree odious, and is the foundation of all totalitarian governments.” (Winston Churchill, minute to the Home Secretary, 21st November 1943; emphasis added). 4. “No freeman shall be taken, imprisoned, or disseized [dispossessed], or outlawed, or exiled, or in any way harmed – nor will we go upon [condemn] or send upon [imprison] him – save by the lawful judgement of his peers or by the law of the land.” (Magna Carta AD 1215, Clause 39; emphasis added). 5. “…men in our kingdom shall have and hold all the aforesaid liberties, rights and concessions well and peacefully, freely and quietly, fully and completely, for themselves and their heirs from us and our heirs, in all matters and in all places for ever…” (Magna Carta, AD 1215, Clause 63; emphasis added). Those rights include the right to due process of law, the right to trial by jury, and the right to be presumed innocent until proven guilty. 6. A jury trial is a trial by country (as opposed to a trial by government). Towers wrote: “And in all pleas of the crown, the prisoner is said to put himself for trial upon his country; which is explained and referred by the clerk of the court, to be meant of the jury, saying to them, ‘which country you are’.” (An Enquiry Into the Question, Whether Juries are, or are not, Judges of Law, As well as of Fact; With a particular Reference to The Case of Libels, Joseph Towers, 1764; available on-line at http://www.constitution.org/jury/cmt/towers/towers.htm). Lysander Spooner wrote: “The object of this trial ‘by the country,’ or by the people, in preference to a trial by the government, is to guard against every species of oppression by the government. In order to effect this end, it is indispensable that the people, or ‘the country,’ judge of and determine their own liberties against the government; instead of the government’s judging of and determining its own powers over the people. How is it possible that juries can do anything to protect the liberties of the people against the government; if they are not allowed to determine what those liberties are? Any government, that is its own judge of, and determines authoritatively for the people, what are its own powers over the people, is an absolute government of course. It has all the powers that it chooses to exercise. There is no other – or at least no more accurate – definition of a despotism than this.” (An Essay on the Trial By Jury by Lysander Spooner; see “Recommended Reading” below). 7. “The power that puts the jury above the law can never safely be entrusted to a single person or to an institution, no matter how great or how good. For it is an absolute power and, given time, absolute power corrupts absolutely. But jurors are anonymous characters who meet upon random and unexpected summons to a single task (or perhaps a few), whose accomplishment is their dissolution. Power lies beneath their feet but they tread on it so swiftly that they are not burnt.” (The Conscience of the Jury, The Right Honourable Lord Devlin, “Law Quarterly Review”, July 1991, Vol. 107, p. 404 as quoted in Reclaim the Law (see “Recommended Reading” below)). 8. 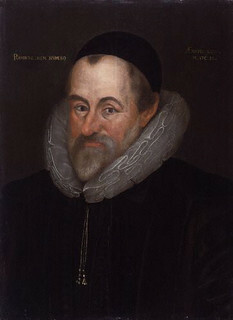 “For more than six hundred years – that is, since Magna Carta, in 1215 – there has been no clearer principle of English or American constitutional law, than that, in criminal cases, it is not only the right and duty of juries to judge what are the facts, what is the law, and what was the moral intent of the accused; but that it is also their right, and their primary and paramount duty, to judge of the justice of the law, and to hold all laws invalid, that are, in their opinion, unjust or oppressive, and all persons guiltless in violating, or resisting the execution of, such laws.” (An Essay on the Trial by Jury, 1852, Lysander Spooner; see below). Compare this with the following extract from the Report of the FCDA, Europe; Cannabis, the Facts, Human Rights and the Law: “In the governance of men and women, few if any matters are of greater consequence than the diligence and precision with which the judiciary observe and adhere to the civilised code long-established for the determination of an accused person’s guilt or innocence. At least the equal of all other aspects of importance of this code is the Right and Duty of the jury to judge of the justice of the law. All governments, comprised of as they are of human beings, are fallible. Governments are capable of passing bad or oppressive (i.e. illegal) laws, and authorising and organising the enforcement of such bad laws. 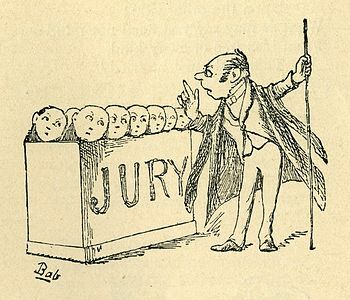 If juries were limited in their role to decide guilt or innocence only on the evidence produced by the state prosecutor of whether the accused had broken a law or not, any jury acting in this restricted way would not be able to protect good fellow Citizens from unjust laws or oppressions of the state. These inadequate ‘show trials’ are observed to take place in the tyrannies of totalitarian dictatorships and are traditionally scorned for the mockery of justice that they are when compared to the democratic high standards Trial by Jury. Some term other than Trial by Jury is necessary to describe a court ritual enacted where in the jury is not informed of the jurors Right and Duty to judge on the justice of law, without which real Trial by Jury cannot be said to have taken place”. (ISBN: 0-954421-1-6. On-line reference: http://www.ccguide.org/fcda.php). 9. 29 Parliamentary History 1535, 1536; final emphasis added. Copyright 2004. Darren Andrews. Feel free to print but please acknowledge Freedom-Central.Net as the source. Do not copy to a web site without permission.